If you’re a serious PC gamer then you know how critical your gear can be. From your rig set up to your keyboard and mouse, everything counts and that’s why you want to buy the best gear you can at a price you can afford and that will meet your needs as a consumer. Among all the stuff you can buy one thing stands above the rest in terms of general PC use – and that’s your mouse. Most of us don’t switch out our gaming mice for productivity-oriented designs and there’s no need to because most gaming mice on the market work well in other applications as well. From languid point-and-click adventures to first-person shooters, you mouse’s accuracy and speed can really affect your gameplay. Similarly, ergonomics, controls, and other functions can deeply impact both gameplay and productivity. In this article, we’re going to discuss what we think is the best gaming mouse on the market for 2018, and it’s a model we think you’ll notice fits in perfectly with both worlds. 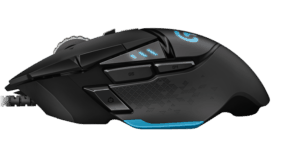 Price and design are factors as well as aggregate reviews and it seems like the best all-around gaming mouse on the market now is, without a doubt, the Logitech G502. Billed by PC Gamer as a “heavy gaming mouse,” the Logitech G502 not only comes in at the sweet spot in terms of price point but also in terms of functionality and design. Using an optical sensor that is billed by Logitech as one of the best in the market, the Logitech G502 also sports 11 buttons and an ergonomic, right-handed design that is perfect for hours of continuous use. Buttons and mouse functionality are intuitively laid out and are within easy access of the user’s fingers. This expanded capability can be mapped to in-game functions and even hotkey functionality in some apps. The strongest point of the design is how easily customized it is – from adjusting the weight to a layout of functions, most users will be able to find a commanding position that works for them. Best of all it is adaptable to multiple types of games – from strategy to battle royale – and the performance holds up across all usage scenarios. Though its somewhat futuristic aesthetic might turn some users off the mouse’s build quality is second to none and you can feel the heft in the product. 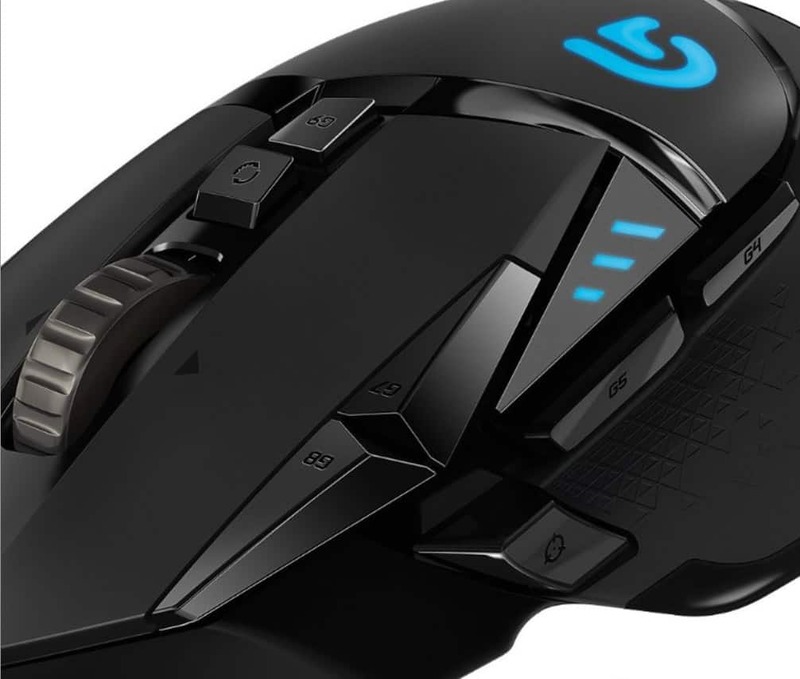 One feature that many reviewers are raving about is the weighted scroll wheel in the center of the mouse. Not only does it imbue the whole product with a kind of indestructible quality but also indicates the attention to detail Logitech employed in making the Logitech G502. The unit’s weight makes it less nimble than other competitors on the market it more than makes up for this with quality, durability, and ease of customization that is industry leading. Of course if you don’t like Logitech, you can opt for a Razer Lancehead which offers great performance too a the same price. Best of all is the price – coming in at less than $60 the Logitech G502 is an option available to even the most budget conscious consumer. Iris Yuma Joins Anime Action-MMO SoulWorker in New Seasonal Summer Update!